Versatile Mitox 2700PK Pro power unit that is fitted with a reliable Kawasaki 26.3cc two-stroke engine. 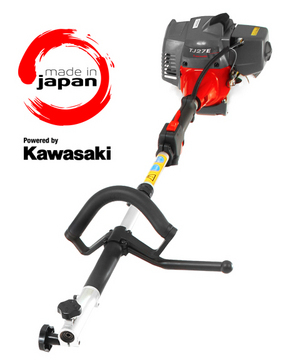 It can be fitted with a range of attachments, these include a 555mm hedge trimmer, 10-inch power pruner, grass trimmer with nylon head and a 980mm aluminium extension. This powerful unit provides suitability for homeowners, landowners or farmers who need quality and performance. The attachments are quick and easy to use with the unit, just pop them into the drive shaft and tighten the clamp. With a range of attachments available, you will save money and time. Attachments to be purchased separately. Complete with a 5 year domestic warranty and 3 year commercial warranty.